Cosmic ray detected by SWAP on February 17th 2013. On this day SWAP was observing away from the Sun. Huge filament eruption on August 31st 2012. A stack of SWAP images, radially enhanced off-limb to show the extended corona in full wealth. Filament eruption in SWAP on 8-9 July 2011. The top row shows the original SWAP images, the bottom row are difference images (preceding image has been subtracted from each image). July 1st 2011 partial solar eclipse as seen by SWAP. 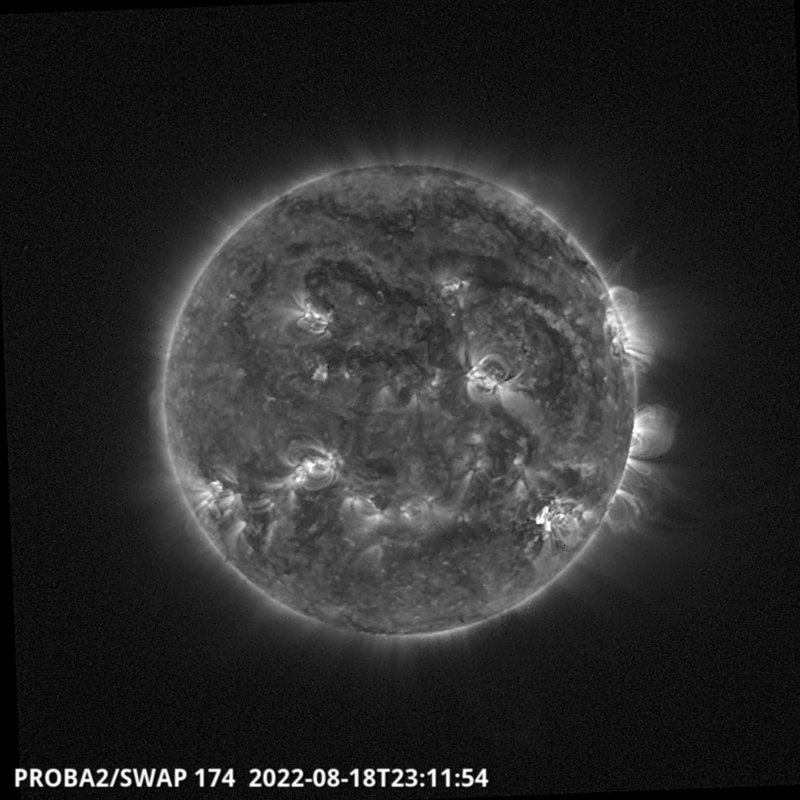 Coronal Mass Ejection on west limb, recorded by SWAP on 29 June 2011. Consecutive images have been subtracted from each other to result in those difference images. Jean-Philippe Halain (CSL) with SWAP in the clean room at CSL. 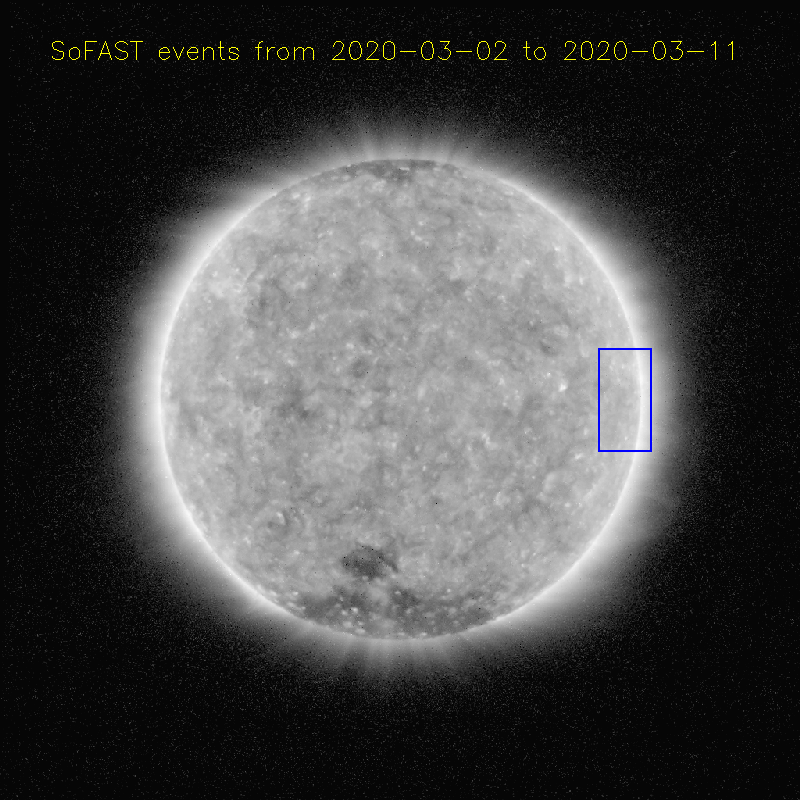 Extra-ordinary event on 7 June 2011 where a massive amount of dark, cool plasma was blown away, and fell back down on the Sun. This image is shown in polar coordinates: the total limb is converted to horizontal line, West limb in the centre of the image. LYRA short wavelength signals of the June 7, 2011 M2.5 flare, with superimposed the dip in SWAP average intensity. 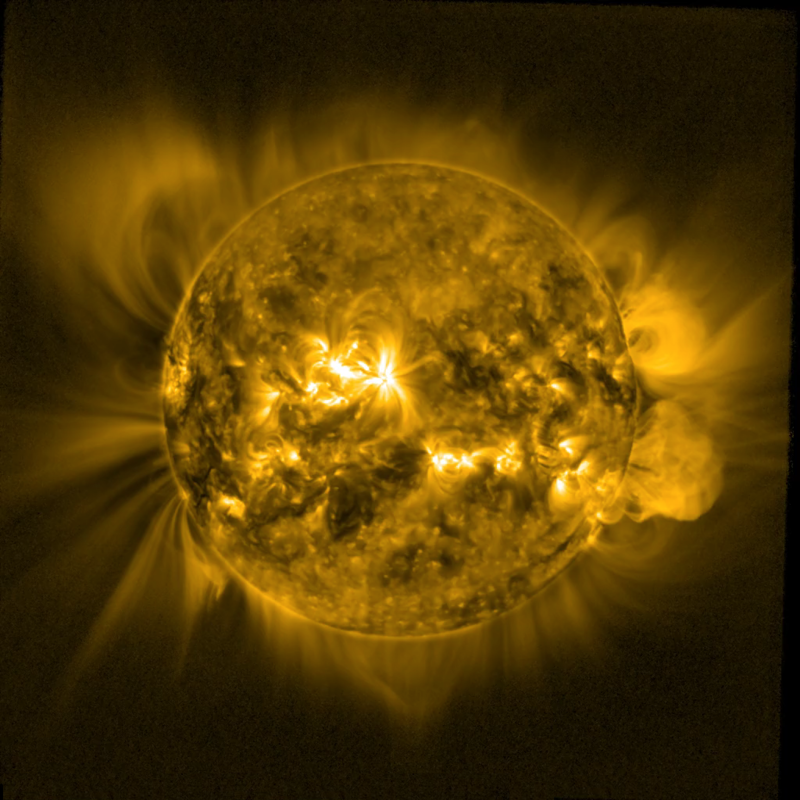 Extra-ordinary event on 7 June 2011 where a massive amount of dark, cool plasma was blown away after a M2.5 flare, and fell back down on the Sun. Cool plasma is flowing down after the eruption on June 7 2011. Peak of the cool plasma eruption on June 7 2011. Start of the cool plasma eruption on June 7 2011: right after a M2.5 flare, a massive amount of cool plasma is blown away. 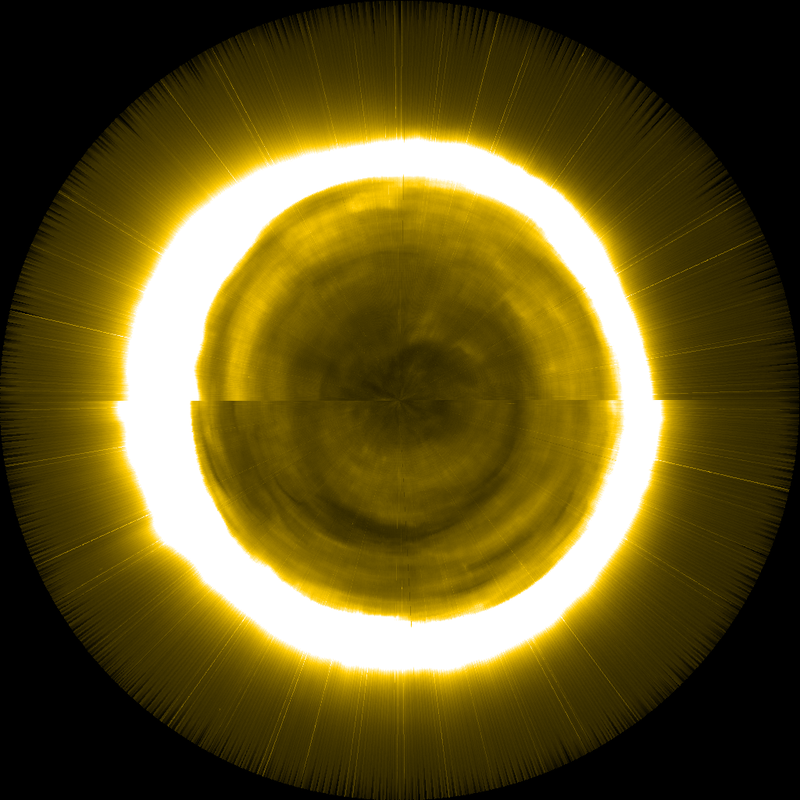 SWAP mosaic image: many images taken at different offpoints are combined together to show the extended corona in full wealth. Plasma eruption on Feb 24 2011 that could be followed upto the edge of SWAP FOV. 15 February 2011 X2.2 flare as seen by LYRA. 15 February 2011 X2.2 flare seen by SWAP. 4 January 2011 solar eclipse. 11 July 2010 solar eclipse. Rockot Liftoff with SMOS and PROBA2. LYRA's three units, assembled on the spacecraft. SWAP in vacuum chamber during calibration at PTB/Bessy (July 2008). SWAP in clean room at CSL. SWAP and LYRA promo shot! 2017 Sep 06 - LYRA observes a strong solar flare in its Herzberg channel!